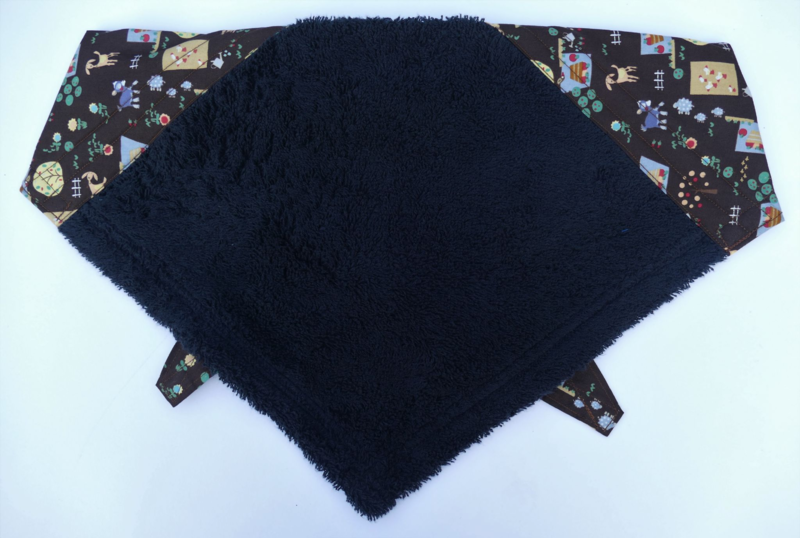 A fab Allotment themed Droolbuster dog bib that's practical as well as fun! 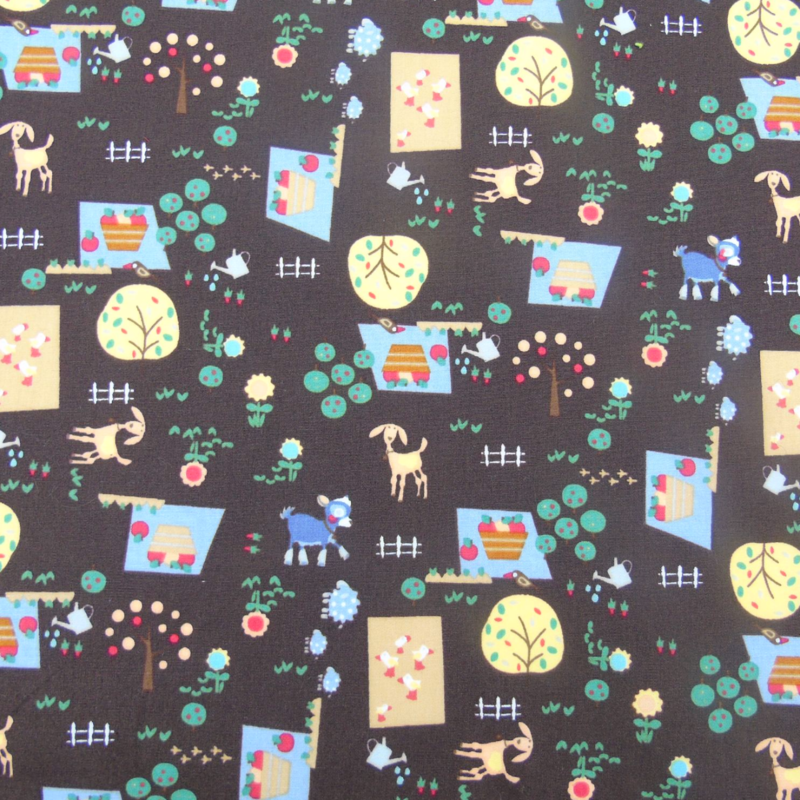 The cotton print has a brown background, and a cute gardening themed print incorporating goats, fruit trees, vegetables, watering cans, fences and tiny ducks! 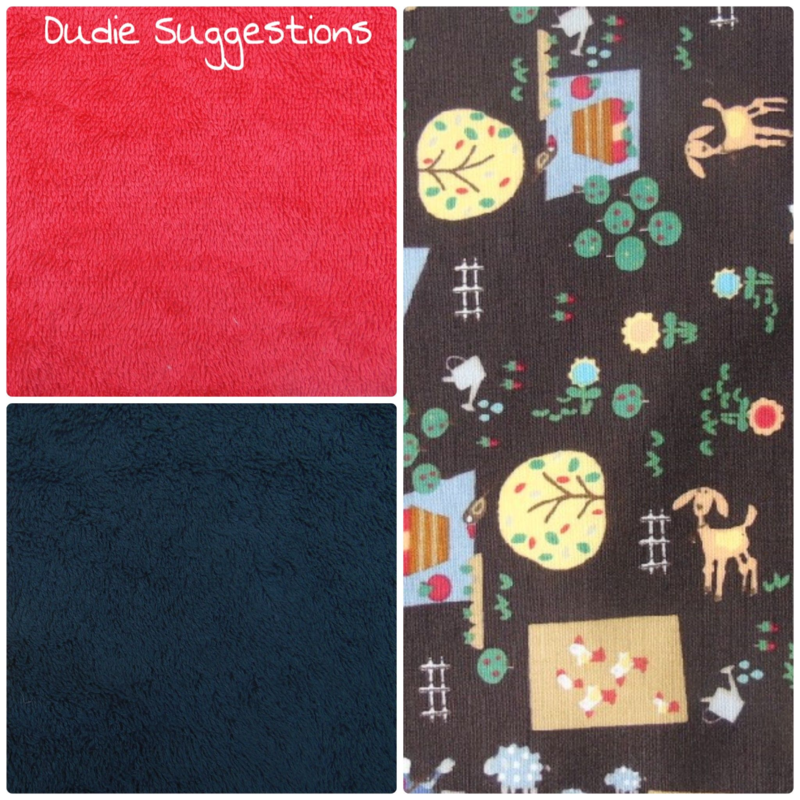 It looks particularly stylish combined with the Red or Black Terry Towelling options, but you can choose any of our shades.